Effective digital marketing requires a variety of approaches, including the use of e-books and whitepapers. Both are considered “long-format” marketing tools, and while they are similar, they are not the same. Both are an integral parts of SEO-based digital marketing, helping content to be found/ranked by Google. They’re used most often for prospects and leads in the middle- or latter-part of the sales funnel. When well-written and formatted, they establish you as an authority in your industry or niche. Their longer formats allow you to convey more in-depth and detailed information that solves a particular problem or highlight a specific topic. Both should be viewed as premium products, so expect an investment of (at least) basic contact information before a prospect has access to the full version. That being said, they are not the same, and should are used for different purposes and to reach different audiences. E-Book Or Whitepaper: Is One Better Than the Other? Neither is technically better than the other. Rather, they are used with different intents and purposes, and they are often targeted to very different marketing personas. Thus, the two go hand in hand when it comes to reaching more committed prospects in the hopes of converting them into qualified leads and sales. Here are some of the ways eBooks are different from whitepapers, and how your marketing team can leverage those differences to build a more comprehensive and customized approach to client-specific marketing. An eBook is typically created as a brief and more concise overview of a larger idea or concept–covering multiple points. It might even cover a range of related topics, like how to build a more cohesive brand presence. eBooks discuss trends, overviews and key concepts but don’t waste space with statistics and numbers that might diminish reader interest. A whitepaper, on the other hand, is a more in-depth look at a single idea, perspective, or concept. It includes a great deal of in-depth analysis and research, and backs trends and key concepts with data and analytic evidence. A whitepaper might take a single idea or tip provided in the eBook on brand development and focus entirely on that. It may seem counterintuitive but eBooks are shorter than whitepapers. They are typically between 1,000 and 2,000 words long and are the easiest/cheapest to produce. 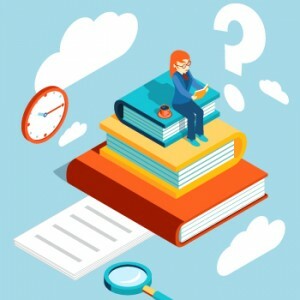 Whitepapers are typically 3,000 words or more because it takes more words to back up a highly-developed thesis with the level of research and analysis required to provide an expert viewpoint. Thus whitepapers are more labor/time/cost-intensive to produce. In most cases, an eBook read like a casual conversation. It will be a friendly, less-technical take on the topic(s) and it’s just fine to include interactive and multi-media resources. eBooks are also known for having smaller chunks of text, being graphically rich and easier to share and distribute. They are “fun”. Since an eBook takes a lighter, more casual approach, you can imagine they have the widest readership and appeal to the majority. Whitepapers are heavier, so they are only downloaded by prospects who are seriously interested and willing to invest their valuable reading time. Your business, brand and target markets will determine which formats you use, when, and how often. Want more information about making your redesign successful? 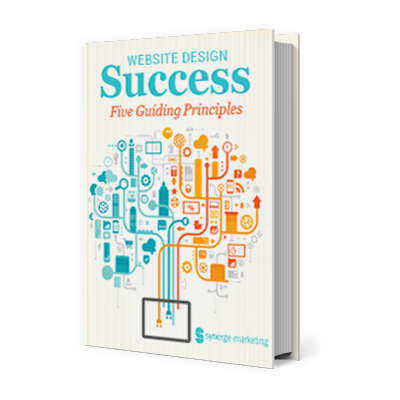 Explore the factors that will make your website effective, compelling and profitable!